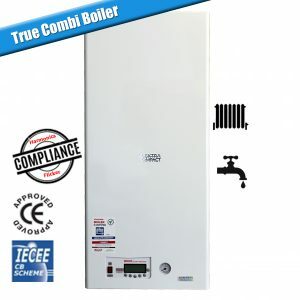 Economical (see blue chart below) installer and user friendly. All Parameters are the same for Elektra C & BP. As BP has built in Cylinder. The Hot water delivery is better. 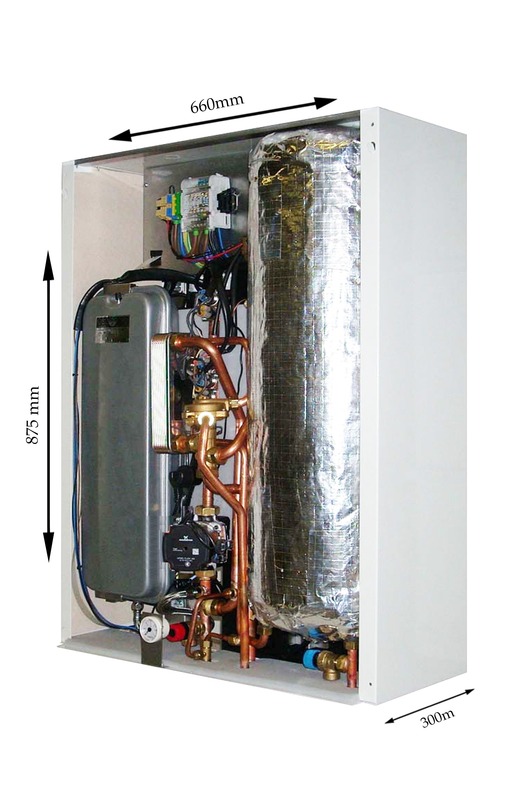 Has stored hot water over 50 litres at 60°C- 65°C ( 37.5 l in Cylinder 10-12 li in the central heating reservoir). Although set at 8 litres/min can be adjusted up to 13 litres/min for faster fill of the bath. Factory setting @ 8l/min is perfect for filling bath and having shower because the hot water is being delivered at higher temperature. It will be possible to have two showers running simultaneously, say 4 litres/minute to each tap then mixed with cold water to bring the flow rate up to 6-8 litres/min, (this would be dependent on water pressure in the house). 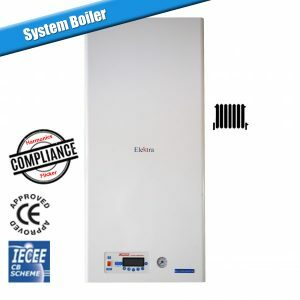 Uses initially only 2kw to heat up the water in cylinder and only uses more kw depending on the temperature rise needed. And may go up to full 12kw in time. A. An average shower uses 21-25 litres of water. 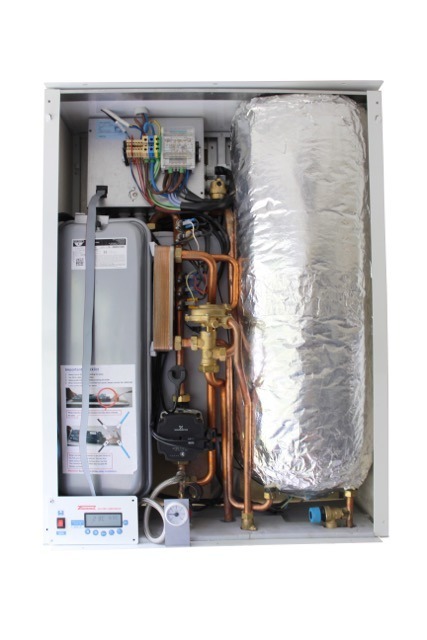 Elektra BP holds enough water and back up the cylinder with constant supply of hot water as per Elektra C for continuous delivery of Hot Water. B. According to BS6700 a standard 1700 x 700 need 100 litres of water @ 40°C. This is split into 60% HW and 40% CW. Elektra BP (preset at 8Li/min) will fill the bath faster. 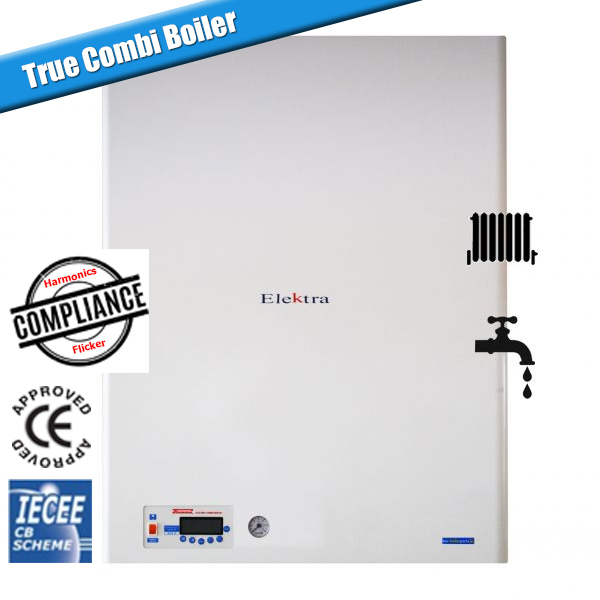 Copyright ©Electric Combi Boilers Company 2017. All Right Reserved.